Sometimes it happens that different products have the same attributes, and you can use templates to permanently not add the same attributes to different products. Consider the example of the attributes of the product "Lenovo Yoga 2 Pro". 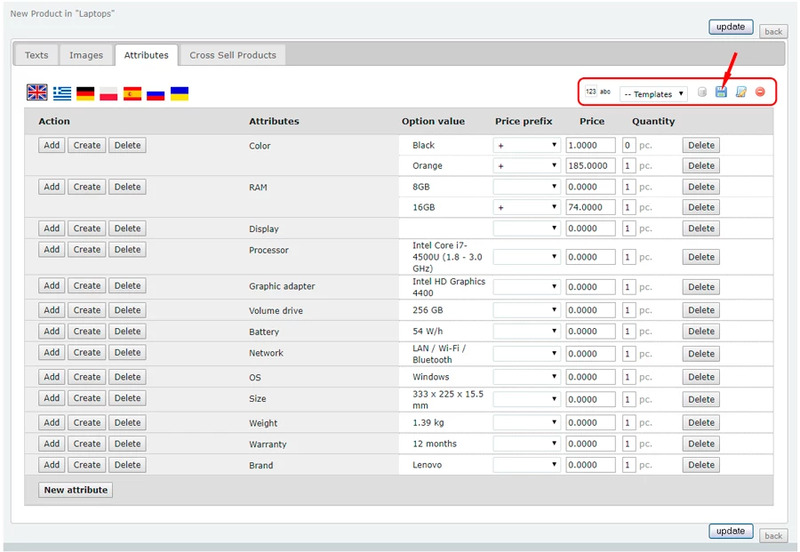 We go to the catalog "Products / Catalogue", select the product we need and click the "Attributes" tab. In the upper right corner is the control block for attribute templates. 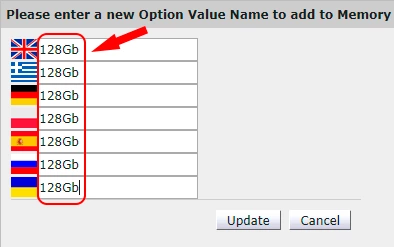 In order to make the attributes of this product a template, we click on the button "Save the attributes as a new template". 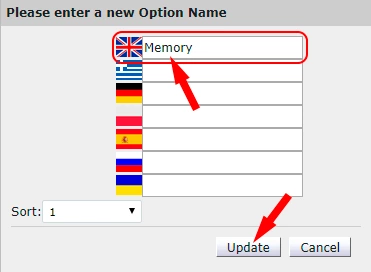 In the window that opens, we give a new name to the template, for example "Lenovo" and click "Update". All the template with the given attributes is ready. 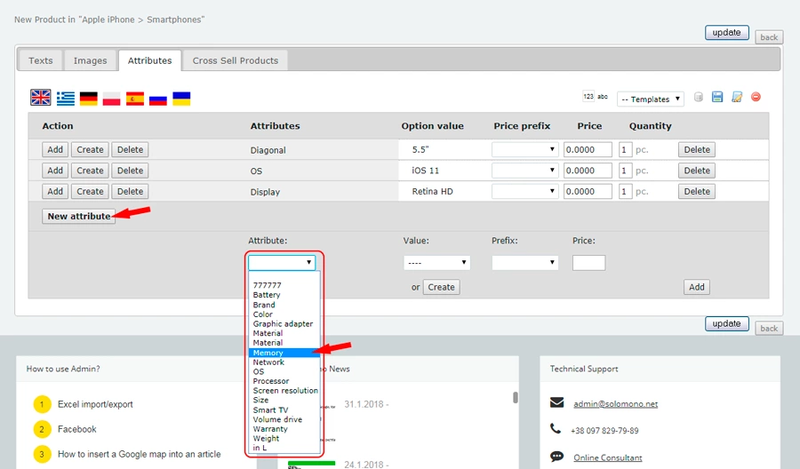 Now create a new product and add attributes to it from our template. 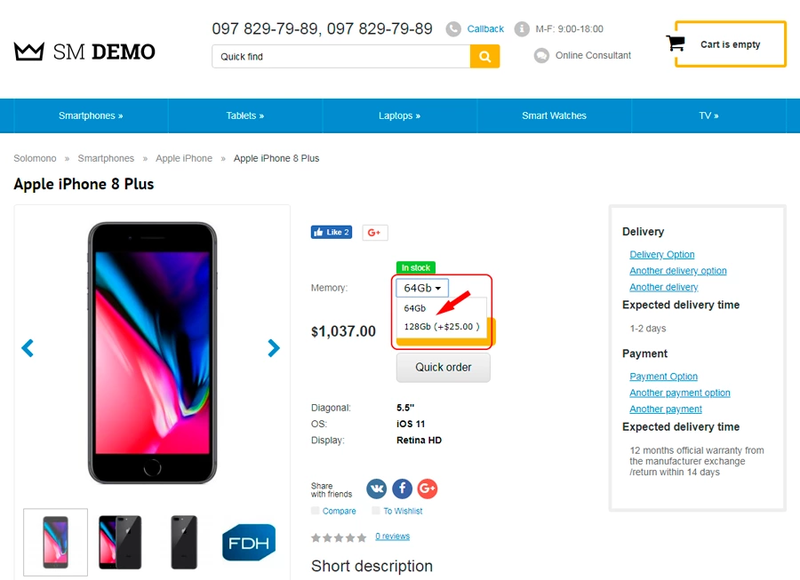 To do this, in the new product, go to the "Attributes" tab and select the "Lenovo" template we created from the "Templates" drop-down list in the upper right corner. We press the button "Loads the selected template"
We confirm or do not confirm our actions in the "warning window"
If we give a confirmation to load the attributes from the template, then they will be applied to the new product. To save everything, click "Update". You can leave the attributes unchanged, add new ones or delete unnecessary ones. 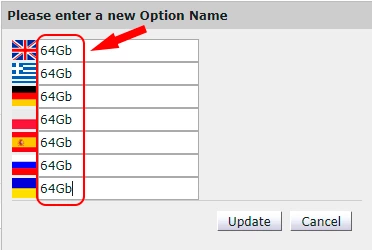 In order to download the template you need to click on the "Loads the selected template"
In order to create a new template based on the current attributes, you must click the "Save the attributes as a new template" button and then a new template will appear in the drop-down list of templates. In order to rename the template, you must click on the "Renames the selected template"
To delete a template, click on the button "Deletes the selected template"